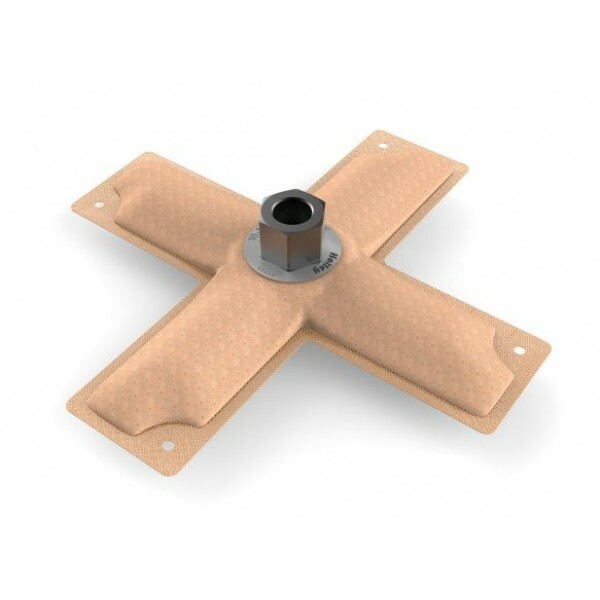 Holley HydraMat offer fuel starvation protection and greatly reduce the potential for air to enter into a fuel system. With a wide assortment of sizes and footprints, HydraMats can fit virtually any cell! Since the area of the HydraMat is uncovered, tiny pores in the media seal off through surface tension, forcing fuel to be drawn from other areas of the mat where fuel continues to be available. A HydraMat also acts as a 15 micron pre-filter eliminating the need for a separate filter before the fuel pump. Not for use with most oils (see previous point for exceptions). Not for use with diesel fuels.